Investment due diligence is one of the most crucial steps before a company enters into a business partnership or an acquisition. 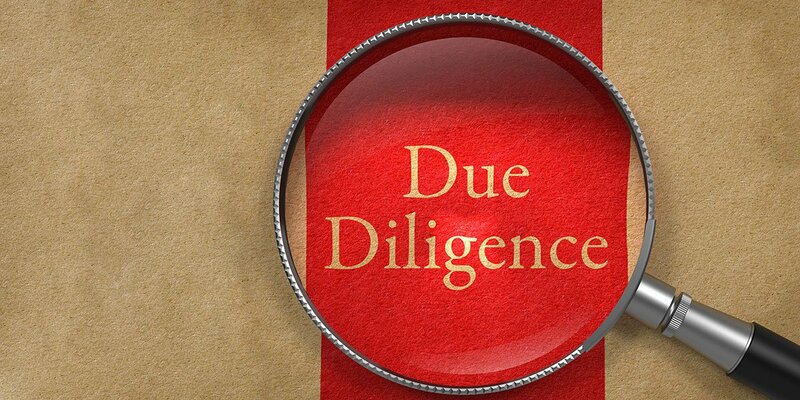 Due diligence, as the term suggests, is an in-depth review of a company that helps investors make informed investment decisions and mitigate. It helps to assess the company’s long-term profitability as per market conditions, identify potential gaps in business practices, recognize unrealized growth potential and verify disclosures and legal history that could impact its future growth. The consequences of poor due diligence can be catastrophic. No credible organization is willfully negligent. However, decisions based on instinct rather than data and evidence can prove costly to investors. Does the company balance sheet make sense? Is the future financial risk manageable? It’s important to be aware of all the important facts to prevent unpleasant surprises in the future. Failing to identify problematic issues, attitudes or any other red flags could lead to financial and reputational ruin. The only effective way for investors to safely navigate their way through the choppy waters in new and emerging markets is by conducting an exhaustive due diligence on investment opportunities. Performing an investment due diligence exercise goes well beyond readily available data that can be gathered via the internet or secondary sources. In order to be truly valuable to the company, a good due diligence report would offer market intelligence insights distilled through an unbiased assessment, customer surveys, stakeholders and management reviews, competition analysis, and financial projections, to name a few crucial facets. In an investment environment tainted with miscalculated decisions that have cost investors billions, many buyers are now demanding to dig through balance sheet complexity, employee competencies and contracts, supplier contracts, review of IP and patents, loan agreements and outstanding or potential litigation if any, in the legal realm. Understanding the cash flow management, the target company’s accounting policies and checking for NOLs (Notice of Liability) that could be transferred or lost as a part of the acquisition all play an important role in the investor’s decisions. It’s here where a competent due diligence team, expert in conducting independent investment research will channelize their efforts to evaluate integration planning, retention and compensation of management and employees, the location of offices, and so on. The team would also work towards understanding the acquisition impact and how it would translate for partners and suppliers in terms of control. All this information could be gathered by visiting the seller’s headquarters and discussing the possible changes with their management, shareholders, and other key stakeholders. Customers, too, are a powerful guide in benchmarking the performance of a company. Aspects like customer satisfaction and loyalty can be assessed through surveys and telephonic interviews, reviewing what customers are saying on social media, etc. A sound due-diligence exercise must also factor in how well an investor’s target organization is equipped with technology assets that will help meet the investor’s goals. An investigation into the current choice of technologies, company patent portfolio, intellectual property risks, and possibilities to integrate new and emerging technologies will ultimately help draw a concrete business valuation. Through formidable market research, investors can expect to not just gather this valuable information but also to gain insights into the strengths, weaknesses and best practices to boost post-investment performance. Moreover, experienced market intelligence advisors will also offer a detailed analysis of relevant patent documents highlighting potential infringements and any competing technologies on the horizon. Financial projections for growth and scalability can often seem to be wildly optimistic. It is in such scenarios that a holistic market research can help investors drill down to realistic numbers and sometimes even uncover new, organic opportunities for growth in the current market. Hiring an investment due diligence team that has an international presence spanning the prospect company’s target market along with multi-lingual capabilities would be ideal. Perceived as one of the most arduous areas to procure tangible information, competitor analysis is really a sword best left for the market intelligence slayers to employ, simply because it requires a definite skill. No competitor will readily divulge proprietary information and secondary resources often offer a peripheral and outdated view of their current standing. Here’s where a due diligence team with several years of market research experience can dive in with smartly crafted surveys doled out to customers and suppliers to provide insights into the health and intentions of a competitor. Next, speaking to the sales team of your competition can uncover a surprising trove of precious data that would otherwise be well out of your purview. Weaving this information together with aspects like capacity utilization, the number of employees and real estate transactions through web research can paint a valuable picture of the competitive landscape. Gaining intellect regarding the company’s target market, trends, demands, size, and growth rate can help analyze how to locate potential marketing opportunities. These findings will also gear investors with customer-driven market segmentation to build strategic product/ service launches and upscale. One of the main aspects of due diligence apart from assessing market growth is to identify the growth intensity areas and the factors that are driving revenue. Whether its price flexibility or unique positioning that is enhancing growth, investors should have a top-down or bottom-up view of the market estimate. This will help develop a cause-effect relationship highlighting the attractiveness of the target company. Good investment due diligence will arm investors with critical data analysis of everything from environment forces, to competition and other vital factors that could impact the target company’s position. These insights are essential for assessing a potential deal and the pricing implications as well as setting a blueprint for post-deal strategy. Netscribes is a global marketing intelligence and research firm with multi-industry capabilities equipped to support clients through the entire deal phase. Our due diligence solutions provide decision makers with sharp business insights emerging from intensive market studies, interviewing stakeholders in the value chain, expansion analysis, financial modeling, and trading valuations among other strategic enablers employed to demystify the potential opportunity in a target company. To get a detailed overview of our investment due diligence services, contact [email protected].